2. 3. 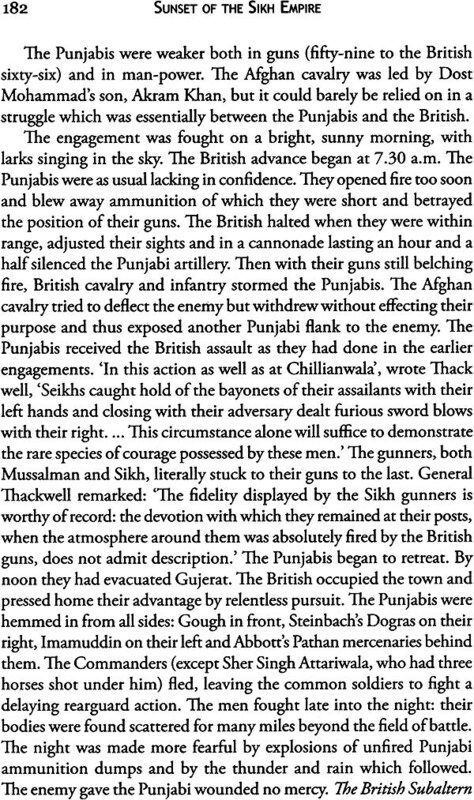 In the summer of 1962 when I was engaged in writing my volumes on the history of the Sikhs, I came across a mass of conflicting data regarding the sequence of events which led to the first war between the Sikhs and the English. Not being a trained historian, I was unable to sift fact from fiction and I decided to seek the guidance of Principal Sita Ram Kohli. 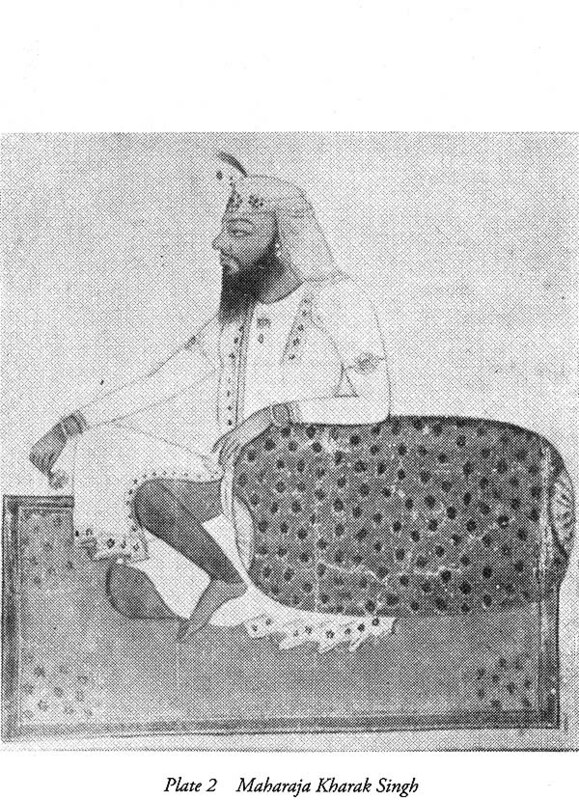 I had read his works and had borrowed liberally from his Khalsa Durbar Records and his life ofRanjit Singh (by far the most reliable account of the Maharajah) to write my own biography of the Sikh ruler. 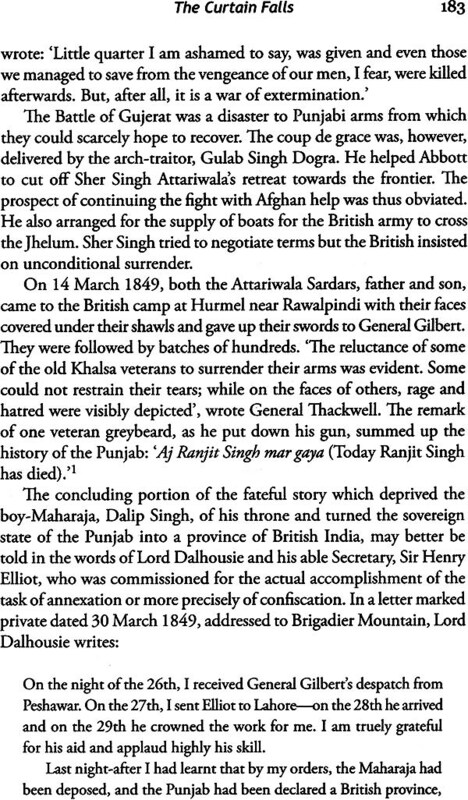 Although I had never met Principal Kohli, I took the liberty of writing to him and questioning his authority for the exact date when the Sikh army crossed the Sutlej and so precipitated hostilities with the forces of the East India Company. 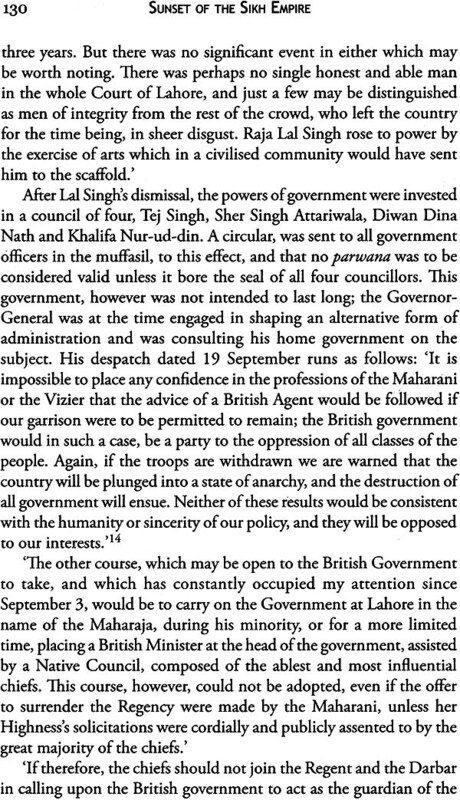 (In the preface to Shah Mohammad's ballad of the first Anglo-Sikh war, Principal Kohli bad mentioned a date which did not tally with the English records). Principal Kohli was at the time living in retirement in Rohtak, and unknown to me, seriously ill. It was a long time before he replied to my questionnaire. I treasure his letter, wherein he also said, 'I only God will give me the strength to complete this work on which I been engaged for the last ten years: In July 1962, death overtook ipal Sica Ram Kohli. Students familiar with Principal Kohli's books know how thorough painstaking he was in his work. 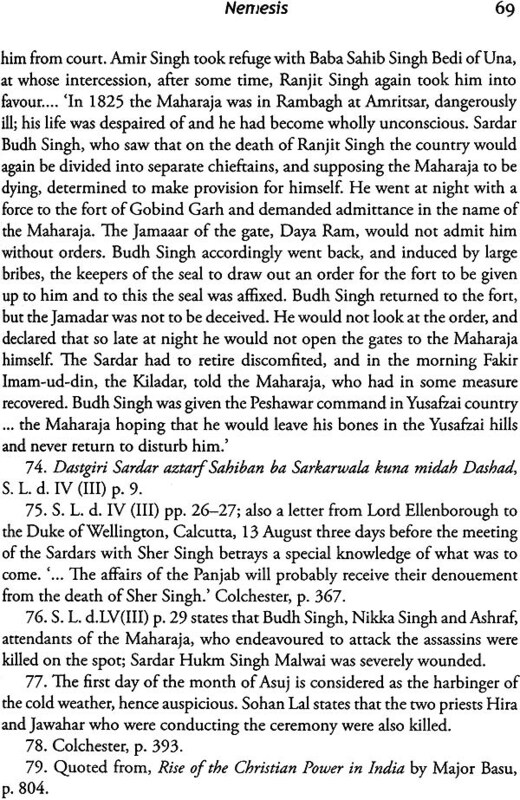 No historian of the Punjab, dead living. Set the same high standard for his research or achieved it same measure. This book was his last child but destined to be after its sire had ceased to be. 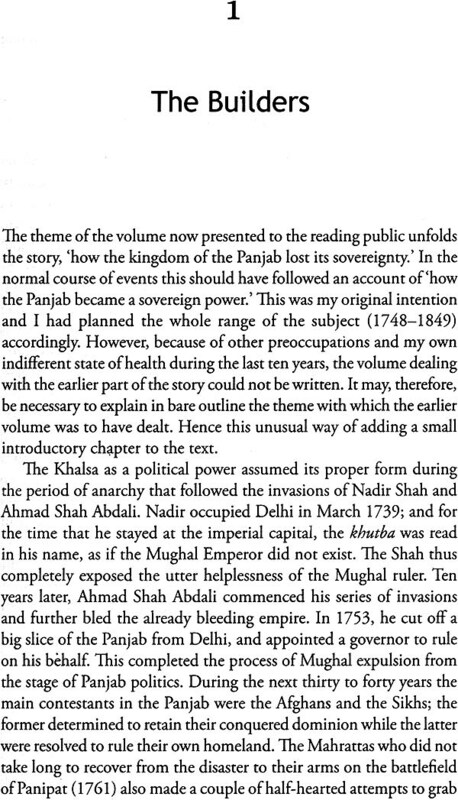 The book deals with the most vital period in the history of the Punjab the ten years between the death of Maharaja Ranjit Singh and the annexation of the state by the British Government. It has all the elements of a great tragedy; its pages drip with blood; they arouse emotions which often lie too deep for tears. Principal Sita Ram Kohli's manuscript was given to me after it had been through many hands. By then some pages had been lost and the last three chapters, which were still in his handwriting, were terribly mutilated. I have done the best I could to delete repetitions and fill in some omissions without taking too much liberty with the original. Sits Ram Kohli (1889-1962) was one of the most renowned historians of the Sikh Empire. He was a lecturer in history at the Government College, Lahore and retired, in 1951, as Principal of Ranbir College, Sangrur, Punjab. 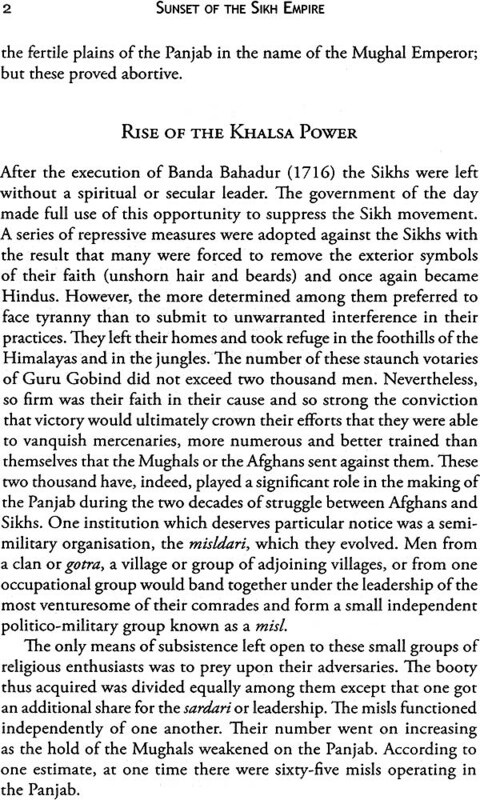 Professor Kohli served on a number of historical organisations such as the Indian Historical Records Commission, Indian History Congress and Punjab History Conference. Punjabi University, Patiala, instituted an annuallecturc series in his honour. 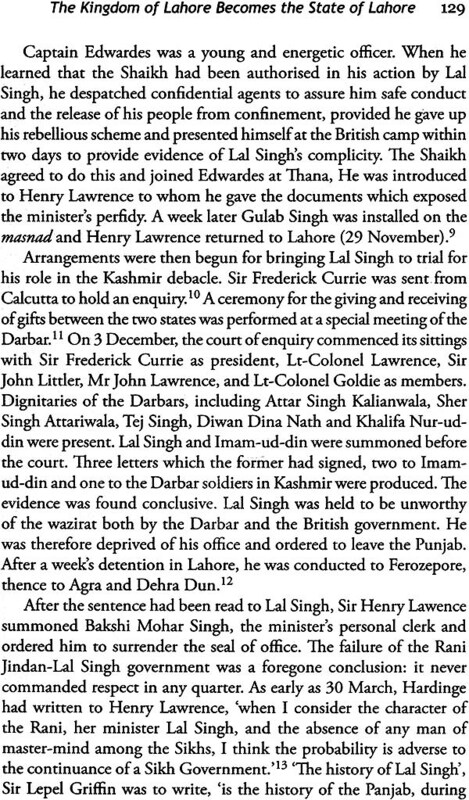 He compiled the GrI4'p of Khalsa Darbar Records (In two volumes), and published in both Punjabi and English.